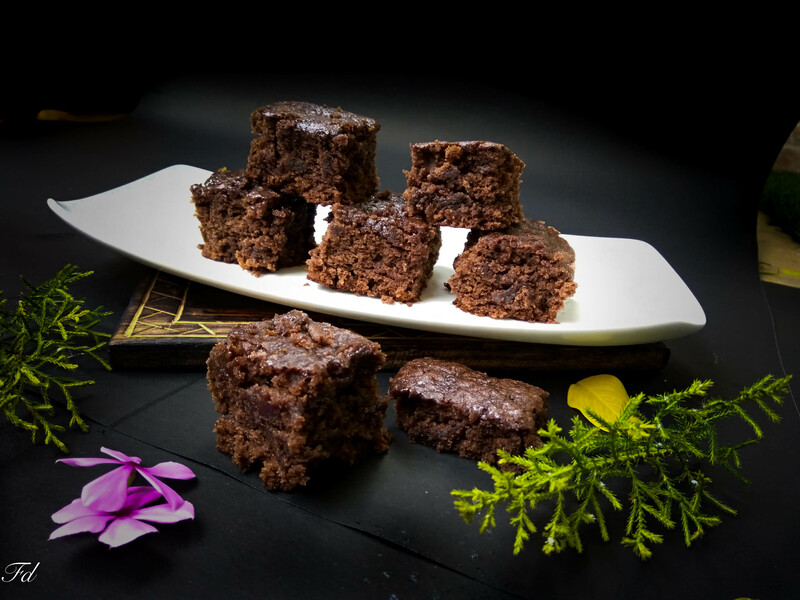 Here is an easy and lip smacking chocolate brownie recipe. Serve them plain or reheat(microwave for few seconds ) and serve with vanilla ice _ cream topped with whip cream or chocolate sauce. 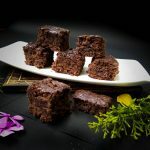 This is an eggless recipe, cake texture brownies, with rich chocolate flavour. 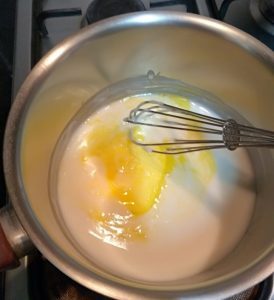 The egg is replaced by flour paste made mixing 4 tbsp maida in warm water. 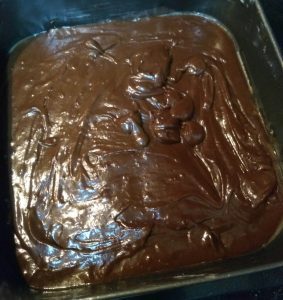 Coffee powder added gives a nice flavour and colour to the brownies. Original recipe is adapted from here. Pre heat the oven at 150 C. Grease a baking tray. 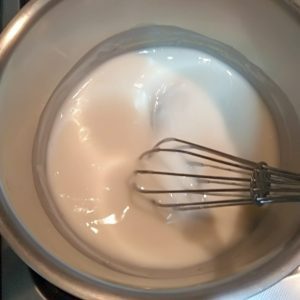 In a mixing bowl add sieve maida and baking powder.In a heavy bottom sauce pan, add 3/4 cup water and and 4 tbsp maida. In medium flame heat it to make a thick paste. One the paste gets thicken switch off the flame and allow it to cool down. 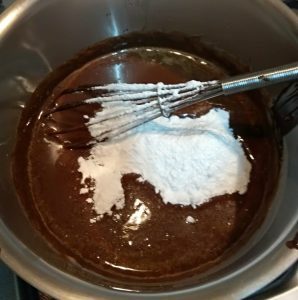 Once the paste cools down add melted butter, the cocoa powder and mix well using a wire whisk. 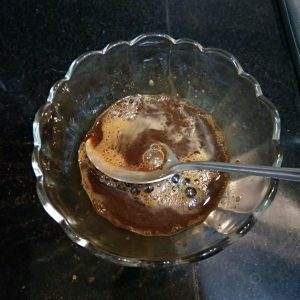 Mix instant coffee powder in lukewarm water . 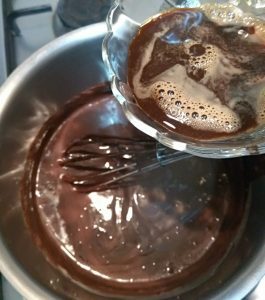 Add the coffee mix to the paste flour, stir in sugar adding little by little. 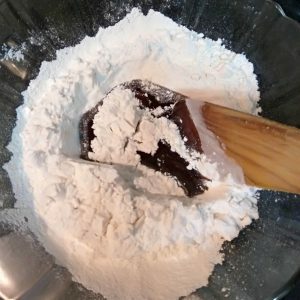 Fold in the batter to flour mixture(maida and baking powder) and mix using a wooden spoon. Finally add the batter to the greased baking pan. Bake for 40-45 minutes at 180°C or till a tooth pick inserted in the middle of the cake comes out clean. Place it on a wire rack and allow it to cool down (for 30 minute) before cutting. * You can add 1/4 cup walnut lightly crushed to the cake batter. 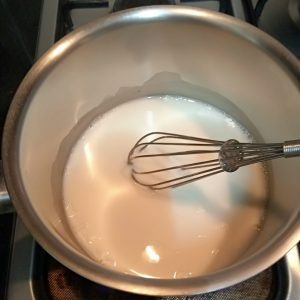 *Use a whisk and spatula/wooden spoon to mix , no need of using electric beater. 1.Pre heat the oven at 150 C. Grease a baking tray. 2. In a mixing bowl add sieve maida and baking powder. 3. In a heavy bottom sauce pan, add 3/4_ 1 cup water and and 4 tbsp maida. In medium flame heat it to make a thick paste. One the paste gets thicken switch off the flame and allow it to cool down. 4. 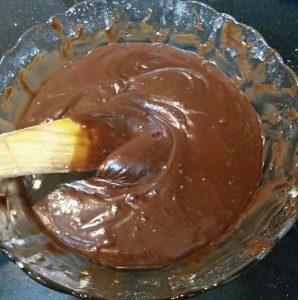 Once the paste cools down add melted butter, the cocoa powder and mix well using a wire whisk. 5. 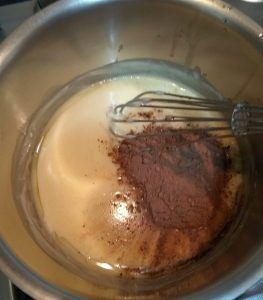 Mix instant coffee powder in lukewarm water . 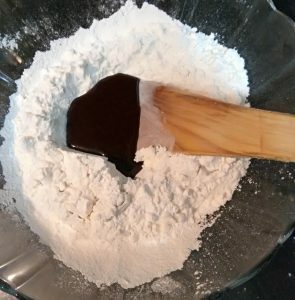 Add the coffee mix to the paste flour, stir in sugar adding little by little. 6. 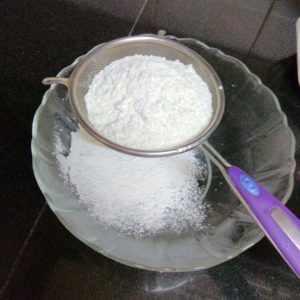 Fold in the batter to flour mixture(maida and baking powder) and mix using a wooden spoon. Finally add the batter to the greased baking pan. Bake for 40-45 minutes at 180°C or till a tooth pick inserted in the middle of the cake comes out clean. 6. Place it on a wire rack and allow it to cool down (for 30 minute) before cutting.